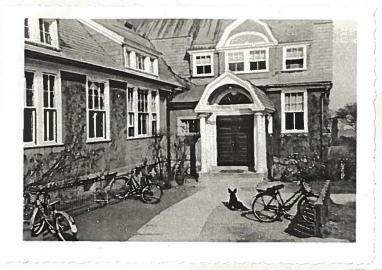 In 1926, Smith College President William Allan Neilson established The Smith College Day School, which was created to serve as a learning environment for Smith College students in education and psychology and to offer a unique educational choice for the local community. Opening day enrollment stood at 24 children. The school’s impact can be measured by its growing size, which reached 87 students in 1947 and 124 in 1962. Needing more space, in 1965 a wing was added to Gill Hall. Another expansion, converting the college’s former laundry building, was completed in 1996, with seven new classrooms added to the school’s facility to accommodate growing enrollment. The school has always provided a unique and special educational experience for students, for it is the only school in the region to connect the learning resources of a world class college to an elementary school program. Campus School also serves as a lab school where Smith College student teachers learn their craft and Campus School teachers and professors from the college engage in research and pursue best practices in teaching and learning. Students are the clear beneficiaries of this energizing and engaging environment, and this is as true today as it was in 1926. From humble beginnings, the Campus School has embraced its mission to be a center for best practices in education, serving children from kindergarten to sixth grade and advancing the study and practice of education through the 20 th and early 21 st centuries. While much has changed in education over the past 90 years, Campus School of Smith College remains a place where children are at the center of our work and excellence is pursued with passion and purpose.